Together & Free: That’s a beautiful place to be! 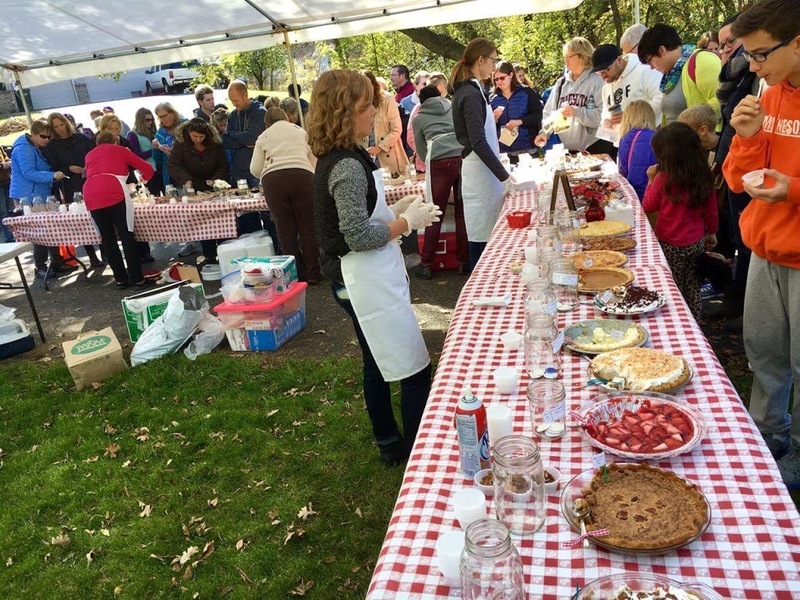 Jammin’ Pie Fest 2016 was another grand success. The sweet tastes, sounds and community spirit were a smash hit again this year. Over 200 people and 75 different families experienced a colorful fall afternoon out on the lawn with friends, family, live music and 53 delicious homemade pies! Walk Right In Ministries is tremendously grateful for the fun memories and encouraging stories coming out of Jammin’ Pie Fest 2016. Hours of volunteer effort, donations and prayers make a powerful difference for festival guests. We want to extend deep gratitude to our music artists Regie Hamm and Family Three as well as our generous sponsors Cub Foods, Schuler Shoes and Degree of Honor Insurance. Special thanks also goes to our many many gift card and service donors including AMG Photography who captured the heart of this special day so well. All of this collaboration keeps the event FREE while making support and encouragement accessible to many. Jammin’ Pie Fest is always a beautiful community experience. A diverse group of individuals and families are refreshed and that is especially true for those who are stretched, sometimes isolated and needing hope amidst life challenges. We hope Jammin’ Pie Fest serves as an inspiration and model for what all communities can look like. Let’s consider how, throughout the year, we can continue embracing each other, growing in faith and experiencing the adventure of life together! NOTE: Our event photographer, AMG Photography, has a special offer for Twin Cities area individuals and families who experience special needs. Visit https://amgphoto.smugmug.com for session information and enjoy many more memories! Next Next post: Wondering which way to go next?